Need to reach us? Click here for our contact details. Welcome to our site! Our names are Shana & Rick and we met in a caffeinated way – no, not over coffee, but over swing dancing (west coast swing, for you dancers out there). And we haven’t stopped yet. We found so much of our lives were connected in an intricate way, like a jigsaw puzzle. After being together for over 10 years, and married for just under 5 years, we’re still constantly amazed at our common interests in holistic health and nutrition, fun & fitness, and entrepreneurial endeavors. We found that our healthy coffee business dovetails so nicely in all 3 of these areas. We would like to share our own stories about Ganoderma Lucidum and Gano Cafe, so you know why we’re so happy to be sharing these products with you! 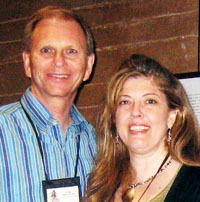 Rick and I are distributors for a really great set of herbal products and tea from the Amazon Rainforest (Amazon Herb Company), and we had a booth at a holistic expo in San Diego where we were promoting our products. Across from us were these guys who had “mushroom coffee”, which I wanted absolutely nothing to do with. Based on the nutritional knowledge I had at the time, I knew that mushrooms were a fungus, and often contributed to yeast overgrowth, and I happened to be off coffee at the time – so it was a double negative for me. Then the next weekend, we had agreed to host a table with our Amazon Herb products at an open house that a chiropractor friend of ours was holding. I had been up really late the night before, and was exhausted – so on the way to set up our table, I told Rick I had to stop at Starbucks – I just needed 1 strong cup of coffee to get me through the day, then I’d go back off again. So I had my coffee, and we went to get our table set up. It turned out that our chiropractor friend had invited these “mushroom coffee” guys to host a table as well – but I still didn’t go talk with them – I’d had my coffee and was good to go. Toward the end of the day, I was feeling that caffeine crash and was really tired again. 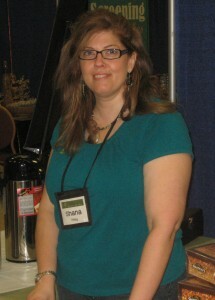 The open house had slowed down, and I was talking with some of the other vendors there. I wandered over to the “mushroom coffee” table, and started talking to one of the guys. He was telling me about the coffee – that it had this medicinal mushroom in it that was actually anti-fungal and that had a lot of different healing properties – including providing nutrients for the adrenals. He said the medicinal mushroom was a taste-free, but very potent, extract, and they put it in coffee as a delivery system. So many people drink coffee – and even though they might forget to take their vitamins, they don’t forget their coffee. He also said that most people experienced energy from the coffee that caffeine normally provides, but without the crash. That intrigued me, since I was feeling that caffeine crash right then. So I tried a little sample cup of it. Surprisingly, I loved the taste of it! It was a really smooth coffee, with a very gourmet taste. I figured if what he said was true – that it might actually help my adrenals – and allow me to drink coffee, that’d be pretty incredible. Plus, he said that most people who got heartburn from coffee didn’t get heartburn from this coffee. So, I told him I’d like to buy some. I expected a bag of coffee beans, but to my surprise, he showed me a box with multiple packets in it. He told me to just empty a packet in my coffee cup, and add hot water. I was amazed, because the coffee had tasted fully brewed! He told me it wasn’t really instant coffee – they liked to call it “ready brew”. So, I bought two boxes, and I was on my way to trying this. I love the coffee, and have never looked back. My adrenals are getting better, little by little (despite the fact that I do take on too much still, and cause myself extra stress). I actually had a chiropractor do some testing the other day, and he said that my right adrenal gland was fairly healthy – I’ve never had anyone say that before! He said my left one still needed some support – but I took his news about my right one as extra proof that this is really working. And I NEVER get heartburn from coffee when I’m drinking Gano Cafe. It’s amazing! I realize this story was a bit long… but I really love coffee, as so many others do – and I’m soooooo excited to have a coffee to share that can actually give you nutrients and improve your health, while still providing all the wonderful taste, aroma and experience that comes with having a great cup of coffee. 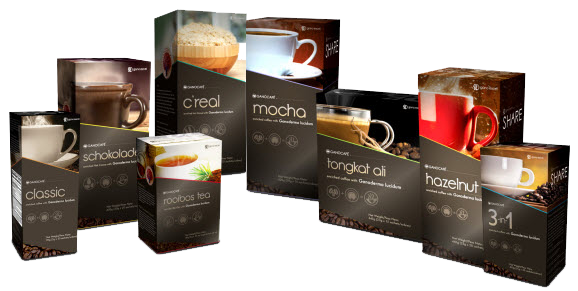 So I hope you’ll take an opportunity to try a box of our delicious ganoderma coffee. We also have a wonderful caffeine-free Red Rooibos tea with Ganoderma in it, and a woooonderful hot chocolate with ganoderma in it as well (which is great for kids – young and old). So here’s what’s funny… Rick doesn’t even drink coffee! But he was really happy that I was able to drink coffee without having a negative impact on my health. We would go to expos together, sharing our coffee, hot chocolate and tea with lots of people, and he was wonderful. Here’s the thing about Rick – he’s fun no matter where we are. He’s got a great sense of humor – and he makes me laugh – even when I am in a bad mood, and even when I’m irritated at him. How great is that?!?!? Because we were going to expos and sharing these products, Rick wanted to make sure he was really educated on all the health benefits. So we’d go up to the Gano Excel corporate office in L.A. (we live in San Diego – or Sandy Eggo, as Rick likes to call it). They had a great tour to teach people about what Gano Excel had to offer, and how it came about, and we had a chance to talk with people from all over and find out about their experiences with Gano Excel products. One day we were talking with someone who said that he had been taking the Ganoderma capsules every day, and after about 6 months, he started to notice that his hair was growing in darker instead of grey, growing in thicker, and that his liver spots (sometimes known as age spots) were disappearing. Now this caught Ricks’ attention. He doesn’t drink coffee, because he’s just never had the desire for it, but he certainly is open to taking capsules. And Rick is really into anything that can help with anti-aging. 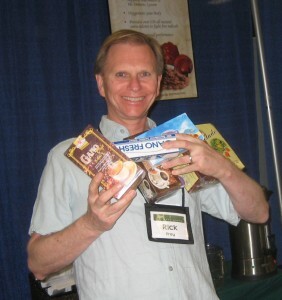 Rick is in his 50’s – but he has more energy than most people in their 30’s. However, he did have a number of liver spots on his hands and a couple on his face, and he liked the idea about hair growing in thicker. Ganoderma Lucidum, also known as Reishi, has been around for over 4,000 years and is known to be the King of Herbs. If this is true, then why haven’t I heard of it until recently? Well, this herb was so rare and precious that it was known only be offered to the Emporers of China. In the past, it was very difficult to grow. It’s only been in the last 15 years or so that a method has been found to grow it organically, and grow enough that its cost-effective for everyday people. I became aware of Ganoderma Lucidum through my wife, who totally enjoys the coffee, and loves that she can drink it without experiencing acid reflux. Because I am not really a coffee drinker, but I had been learning about how many ways Ganoderma was helping people, I wanted to try the capsules. I started with the recommended dosage of 3 capsules a day and after approximately 3 months, I was amazed to notice my age spots (or sun spots) began to disappear. That may not seem like a big deal to most, but I am pretty healthy in most all areas of my life, so to notice a change at all for me is significant. 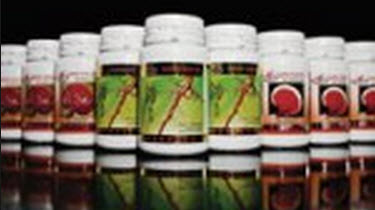 I would recommend Ganoderma in any form to everybody – whether it is in coffee, tea, toothpaste or soap, not to mention the concentrated form of capsules. p.s. 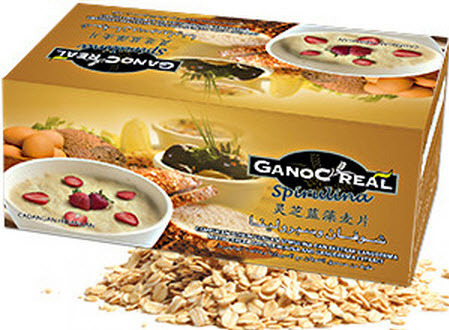 You might have noticed we’ve mentioned that we have Ganoderma in soap and toothpaste – the goal that Gano Excel has as a company, is to provide everyone with the health benefits of Ganoderma. So even if you don’t drink coffee, tea or hot chocolate, or take capsules, there’s a good chance you brush your teeth or take a shower once in a while :). When you brush your teeth with our toothpaste, you’re getting Ganoderma into your blood stream through saliva, which is a very effective method of delivery. And when you shower or bathe with our soap, you’re getting Ganoderma on your skin, and we’ve seen studies that say 70% of what you put on your skin absorbs into your bloodstream. Where can i purchase these products in san diego????? Hi – the products can be purchased online, but my husband and I are based in San Diego, and do keep a fair amount of inventory on hand. I’ll send you a separate email with some additional information. I am wondering where your product is produced. Someone brought packets of your coffee for me to give to my wife because she is from Yemen and they thought your product was also from Yemen. Is this correct?